This month the Christian Marriage Bloggers Association is asking their members to write on Words of Wisdom from different sources. The first subject was from a family member. The second is from The Bible. My blog on Monday was my offering on the family. This blog covers the subject of Words of Wisdom from the Bible. Watch for the next two during the next couple of weeks. As a Biblical Counselor, this is one of my favorite passages to use while counseling couples. We live in such a selfish and self-seeking society, that these words can be foreign in our relationships. I have had many couples share with me that my secular counterparts even encourage selfishness in marriage. 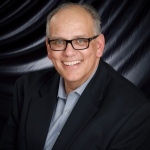 Their goal is to help their client find happiness for themselves as well as to seek their own personal interests. I could not disagree with this philosophy more. I believe that the Bible teaches something quite the opposite of selfishness. If you are a Bible scholar, let me assure you that I know that these verses are primarily addressing the situation within the church at Philippi. Paul was teaching the need for unity within the body of Christ and he was emphasizing selflessness and humility to help meet that need. The verses that follow these two discuss our need to follow Christ’s humility. I do not believe that I am taking these verses out of context when I apply them to marriage as marriage is also a relationship that is built on the covenantal love of Christ. In Ephesians 5, Paul compare the marriage to the church; therefore, I believe that the characteristics of the church can apply to the marriage relationship. With that disclaimer out of the way, let’s examine what is being said in these verses and how to apply them to our marriages. 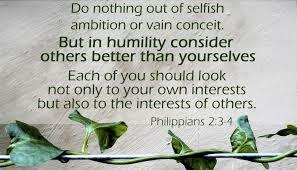 Paul begins this sentence by telling the Christian to avoid selfishness. Satan was selfish when he rejected God’s plan and attempted to promote himself over God. (Isaiah 14:12-17) Satan tempted Eve, while Adam stood next to her, with selfishness. (Gen. 3) Selfishness is at the root of our sinful behavior. Selfishness is also at the root of most, if not all, problems in marriage. Think about it for a moment. Affairs are based on selfish desires. Monetary conflicts are tied to selfishness. And I could continue with any area of marriage that contains conflict. I even heard a wife tell her husband that she did not desire to endure his illness and so she left him. At that moment, she was thinking about herself…not God, nor her husband. The opposite of selfishness is selflessness and humility. Jesus tells us to die to ourselves. Paul says that we are crucified with Christ. If I listed every verse that taught against selfishness, I would be writing for several pages. The idea of dying to ourselves carries the notion that we will live for something else. Obviously, the something else is Christ. Christ lived his life in such a way that we can follow HIs example in order to be pleasing to God. The next phrase of this passage tells us to consider others more important than ourselves. Romans 12:10 also tells us to be devoted to one another and honor one another. In the context of your marriage, do you treat your spouse with honor and devotion? Do you let them know that they are more important than you are? Men, this does not mean that you are removed from being the head of the relationship. Women, this does not mean that you are not to submit to your husband’s leadership. This does mean that you are to look for ways to meet the needs of your spouse before you consider your needs. Verse 4 basically explains verse 3. As humans, we are going to make sure that our needs are met. We make sure that we are fed and clothed. Our basic needs are tended to most of the time and we pretty much look after that for ourselves. This verse is telling us to consider the needs and interests of others before our own. In your marriage, a simple way to see you have this attitude is by examining where you go out to eat each time. Do you only insist on going to yo ur favorite restaurant? Are you willing to go to your spouse’s favorite restaurant, even if you do not like it? Yes, this might be a silly illustration. Yet, this illustration can show if you are selfish in your marriage. Selfishness will kill your marriage. Living out these two verses, along with others, will move you away from being selfish to being a servant to your spouse. 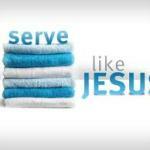 Jesus came to serve us, therefore we should serve our mates in the same way. 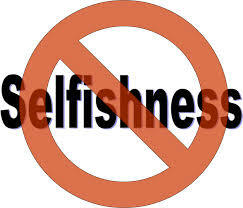 How can you tell when you are being selfish? Thank you for this post this verse line struck me (Gen. 3) Selfishness is at the root of our sinful behavior. Selfishness is also at the root of most, if not all, problems in marriage. This really true and sad to know that only few are aware of this and lost their marriages. I want to share the 3 Tools To Help Overcome Selfishness that might help to win our marriage from distress. Thanks!